In this interview, Joanna asks Scotty some great “guitar questions” and notes that in his early songs with Elvis (for example, Don’t Be Cruel) he showed remarkable discipline by not trying to “fill up space” and cluttering the songs as so many early guitarists did. Scotty discusses how his guitar style evolved and how he tried to stay out of the way of the “vocals” as he considered the singer’s voice to be an instrument also. He also mentions how he never liked to hear demos before recording a song as he didn’t want to copy them...and he tells us how he tuned down his guitar to do certain songs. 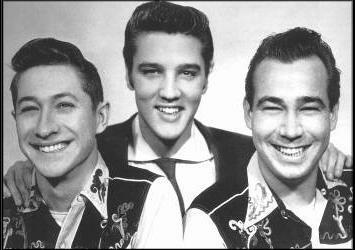 The l968 Comeback Special was the last time Scotty worked with Elvis. 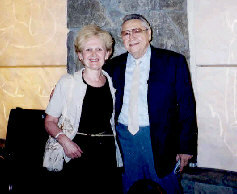 He recalls that show and how the producer, Steve Binder, told them to go out on the stage and just ad lib as they had been doing backstage, but “not to cuss.” Scotty also recalls a final get together with Elvis just days after that, with Elvis proposing both a recording session at Scotty’s Nashville studio and a European tour with Scotty and DJ. Later, Elvis also wanted Scotty, DJ, and the Jordanaires to come to Vegas with him but they had other commitments in Nashville and other sessions booked, so it wasn’t economically feasible to do so. As Elvis moved on to Las Vegas with a different group of singers and musicians, Scotty decided to finally “hang up his guitar” and didn’t perform in public again for nearly 24 years (he did one recording session with Carl Perkins in 1975 on the song EP Express). Instead, he kept busy with his studio work, engineering, tape duplication and printing operations in Nashville. He also engineered a number of television shows during this time and was a consultant for the weekly series “Elvis,” produced by Jerry Schilling and Priscilla Presley, on which Ronnie McDowell was chosen to be the singing voice of the young Elvis. 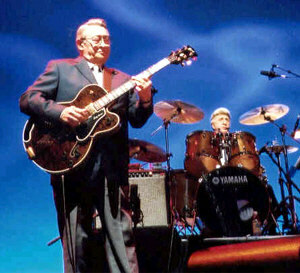 Scotty kept in touch with Carl Perkins over the years, and in l992, after Carl rebounded from a bout with throat cancer, he asked Scotty to do an album with him. When Scotty said that he hadn’t played in 24 years, Carl told him, “It’s just like riding a bicycle.” They booked Sun Studio, and along with a number of other musicians, including DJ Fontana, recorded an album called 706 ReUnion: A Sentimental Journey. Thus, Scotty ended his 24 year performing hiatus. In l992 also, Scotty also returned to live performances with an appearance at the “Good Rockin’ Tonight” show in Memphis. Scotty also talks about Elvis fans in this interview. He relates how, in Europe and in North America, fans his age and older still come to his performances, often bringing grandchildren and great-grandchildren and Elvis albums they want to have autographed! It’s a great feeling and he’s pleased that fans of all ages, young and old, still “love the music.” He says that they try to play it as close to the original version as they can. Scotty also performs regularly with Ronnie McDowell, DJ Fontana, and the Jordanaires, as he did last July at Casino Rama in Ontario, Canada. This was the first time Scotty had performed in Canada since l957...and we are delighted to hear him say that they are all coming back to Casino Rama next July 16 and l7. (link to article). Many, many thanks to the legendary Scotty Moore for sharing with ETARadio, and with our listeners around the world, his memories of a very important chapter in the history of rock and roll, to which he has contributed so very much. 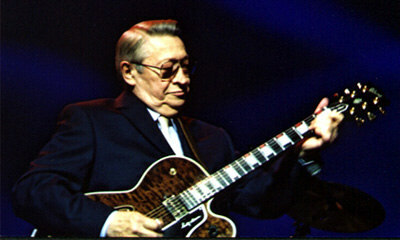 This month’s live interview is with the truly legendary guitarist, Scotty Moore, who is recognized world wide, not only by Elvis fans but by guitarists and musicians, young and old, for his enormous contribution to American popular music. In this nearly hour-long interview between Scotty and ETARadio’s Joanna Johnson, Scotty shares for the fans his personal memories of a very important chapter in the history of rock and roll. Elvis, Scotty, Bill and, eventually, DJ Fontana, traveled throughout the South, and beyond, making a name for themselves as The Blue Moon Boys. In l957 they came to Canada for appearances in Ottawa, Toronto, and Vancouver. They also recorded, and made television and movie appearances. Scotty discusses the early days and how “close” they all were, joking about how crowded it was in one car with the four of them and the large upright bass. Scotty was Elvis’ first manager (although he says that was actually a convenience suggested by Sam Phillips, so that Elvis wouldn’t be bothered by people coming out of the woodwork wanting to manage or book him). Eventually, Scotty turned over the management duties to disc jockey Bob Neal, who was later replaced by Colonel Parker. The band was involved in the early movies such as Loving You, King Creole, Jailhouse Rock and, after Elvis returned from the army, GI Blues -- but, in the ‘60's, as Elvis’ recordings became more tied to movie soundtracks, they didn’t work together as often. During this time, Scotty recorded a l964 instrumental CD with a number of other musicians entitled The Guitar That Changed The World, and also became involved in studio work and producing records for other singers. Born near Humboldt, Tennessee in l931, Winfield Scott Moore III, came from a musical family. He taught himself to play the guitar at a young age, and like so many budding musicians from that area at that period of time (including Elvis and Carl Perkins) he was influenced by the music he heard on the radio: country, rhythm and blues, jazz, pop, and much more. As he says, he listened to anything with a guitar in it, but never knew until much later who the guitarists were. After a stint in the Navy, where he continued to play his guitar on board ship, Scotty settled in Memphis in his early 20's and started playing in local venues. Scotty tells us that very few groups had the same personnel all the time. Usually, “the darndest” combinations of musicians would gather together and form a group for the job at hand --.and they would have to know a little bit of every kind of music. During this time, Scotty met Bill Black, a talented bass player, put together a country based group, the Starlite Wranglers, and crossed paths with Sam Phillips of Sun Studio. Scotty discusses his memories of Bill Black, who lived on the same street. He also tells us about the months leading up to Elvis Presley’s discovery and the day that Elvis came to Scotty’s house to audition..July 4, l954. One thing he remembers is that Elvis had “a brain like a sponge” for soaking up the lyrics of a song, and that he knew every song there was. The very next day, on July 5, l954, Elvis, Scotty and Bill recorded That’s All Right Mama at Sun Studio – changing the course of American popular music forever.